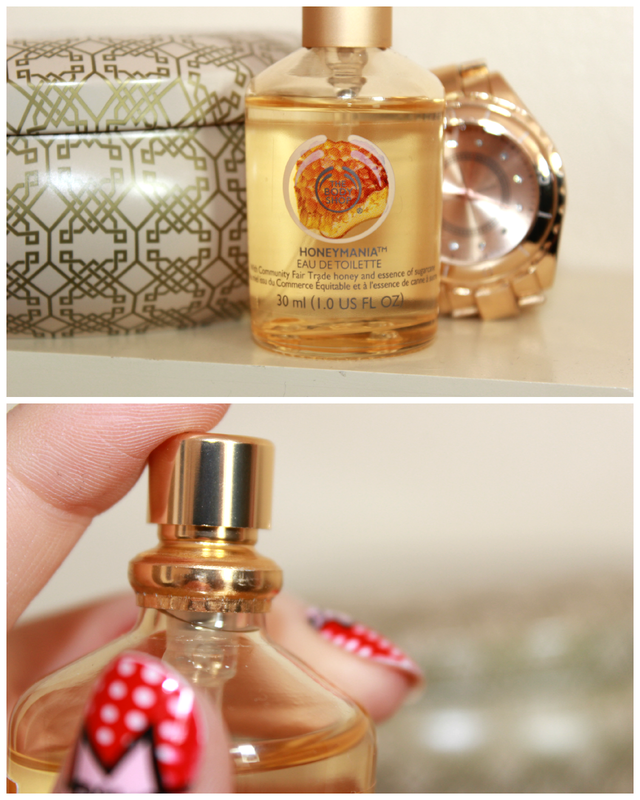 The Body Shop's Honeymania Eau De Toilette is the latest addition to my ever-growing fragrance collection. Whilst it's not the most long-lasting of scents (note to self: pack handbag spritzer) it's sweet, endearing and delicate. It reminds me of when I was little and the summer nights when we could smell the honeysuckle that grows in my front garden. Within seconds of spritzing it I knew I'd be taking it home with me. I have often heard rave review's of The Body Shop's scents but have personally never tried one, so this one's a first. Honeymania EDT contains fair trade honey from the nectar of wild flowers and essence of sugarcane whilst results in a rich and sweet scent with subtle hints of floral notes that's suitable for any age and makes me swoon each and every time I spritz it.